HIRO is Japanese for 寛 (hiro) “tolerant, generous” or 浩 (hiro) “prosperous”.  HIRO is a high-performance natural cosmetics line made with 100% natural ingredients that improves skin texture and tone. Founded in 2011 in co-operation with makeup artists who wanted to work with cleaner, non-toxic products, HIRO only uses the purest, highest quality ingredients that improve the health of your skin while providing a flawless, weightless coverage. The result is a natural, radiant glow and a sheer, micro-fine finish that visually minimizes fine lines, pores and imperfections. Our products are made with pure, natural and organic ingredients and finely-ground, mineral powders that do not contain any impurities, abrasive preservatives, dyes or harmful chemicals. Mica is a fine, translucent powder that retains its properties longer than most pigments, allowing for a longer shelf-life. Mica strongly adheres to skin so it won’t come off throughout your most stressful days or intense workouts. The prime ingredients used in our mineral makeup are, unlike most makeup, inorganic, which means that bacteria and microbes cannot live in the makeup and infect the skin. Our “all natural mineral makeup” is Noncomedogenic, which is an expensive word for saying it does not block pores, allowing your skin to breathe. It is ideal for even the most dry and sensitive skin or skin prone to rosacea or acne.